In your every waking moment you have a choice – to plug into Love or to plug into fear. What you choose will define your experience in each moment, and ultimately the trajectory of your life. When we fail to consciously choose to plug into Love, we can easily default to the dominating thought system of the planet - and that is fear. When we live from a place of fear, it wreaks havoc in several areas of our life, and manifests itself into physical, mental, and emotional stress. Plugging into Love is plugging into the natural intelligence of our bodies, and therefore the universe. This energy promotes life – it’s the same energy that turns an egg into a chick, and a caterpillar into a butterfly. When we plug into this life energy, we become aligned with a force that opens us up to peace and a knowingness of our Truth. We connect to this truth through a daily meditation practice. A simple practice that makes us #stop, #sit, and #breathe in present moment and without judgement. When we’re in the present moment, we’re in a state of calm where our nervous system isn’t perceiving danger and is not looking to ‘fight, flight or freeze’. When we connect to this Truth daily we reset our body’s natural rhythms and healing can occur. has a monkey mind and feel you can’t meditate? has a hard time fitting meditation into your day? thinks meditation is too boring? really wants to learn how to meditate, but doesn’t know where to start? meditates on occasion, but not consistently? is searching for happiness, but doesn’t know where to find it? 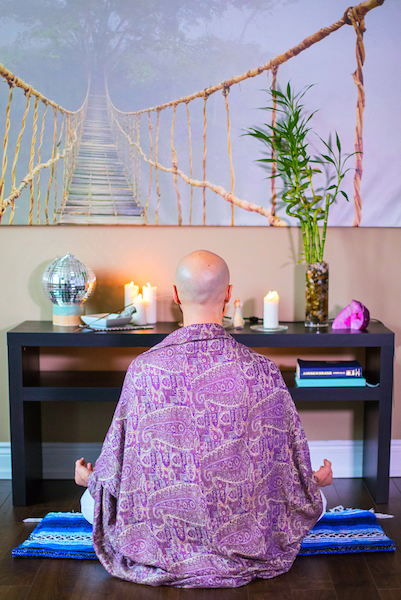 PLUS, you have lifetime access to all the lessons and meditations, and I'm also including a few surprise bonuses that will enhance your meditation practice. This course was born out of common challenges shared among my clients, students, and even fellow therapists - in fact, anyone who I’ve worked with in my career as a Divine Wellness and Spiritual Coach, Yoga Therapist, and Professional Yoga Educator. The challenge wasn’t so much meditating as it was being consistent and finding a form that fit into their schedule, their lifestyle, and matched their personality. With regular meditation, their lives seemed to miraculously shift - they began to experience less emotional fluctuations of sadness and anxiety, had more loving, compassionate relationships. Many have reported feeling happier, more calm, and were able to handle stressful situations with grace and ease. This is just some of the feedback that confirmed not only the experience I personally had with meditation, but the countless research that proves the physical, mental, and emotional benefits of a regular practice – and the research shows the benefits are achieved with daily practice. In just six weeks thought The Art of Stillness I’ll share with you the secrets of making meditation a regular part of your day and personally lead you through a 40 day experience that will make meditating easy! Remember, to plug into Love, all you have to do is #stop #sit #breathe. *NOTE* Traditionally, the 40 Days Of Stillness are completed LIVE on Facebook and later uploaded to the course content area. For the period beginning May 15, 2018, all daily meditations will be pre-recorded and uploaded to Facebook and the course content area by 5am EDT. The 40 Days Of Stillness will be recorded in Italy, Thailand, and Australia! Welcome to The Art Of Stillness :: A Course In Meditation! Hi, I'm Paul! I love you and it's an honour to support you on your journey. 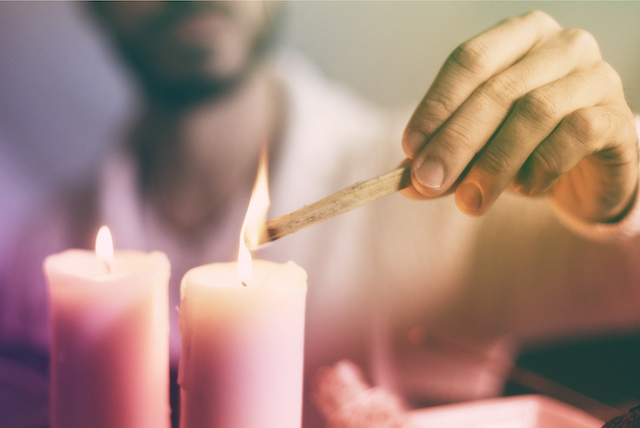 My hope is that these offerings help you deepen your connection with the Truth of who you are: Love. I'll share important information with you when you sign up newsletter.